I took these pictures of the Twin Towers on September 9th 2001. Living just a few miles away from New York City my entire life, the statue of liberty and twin towers were a common daily site for me. 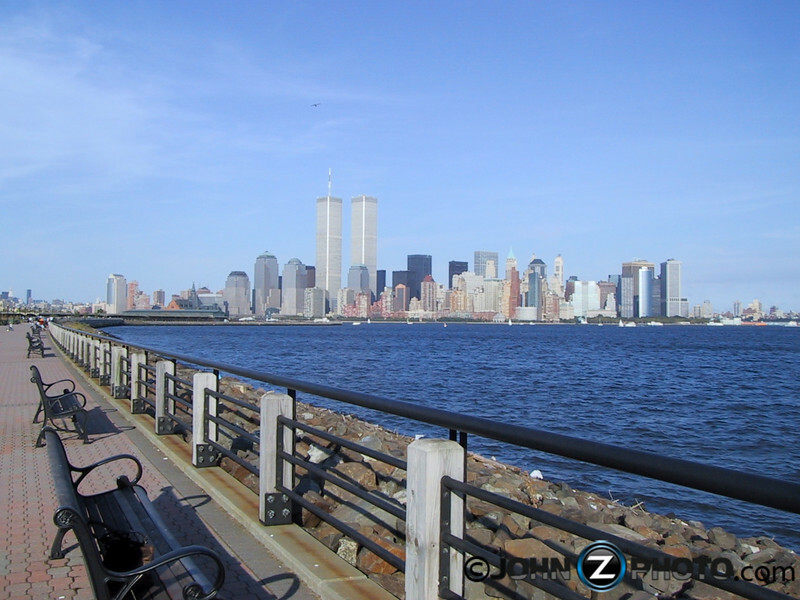 One day I decided to take a walk with a friend along the waterfront in Liberty State Park. At the time, I only owned a point and shoot camera. I carried it around with me the entire day without taking any pictures. Before leaving for the day, I turned around to my friend and joked that I felt it was a waste that I hadn't taken a single picture. These were the only 2 pictures I took that day. 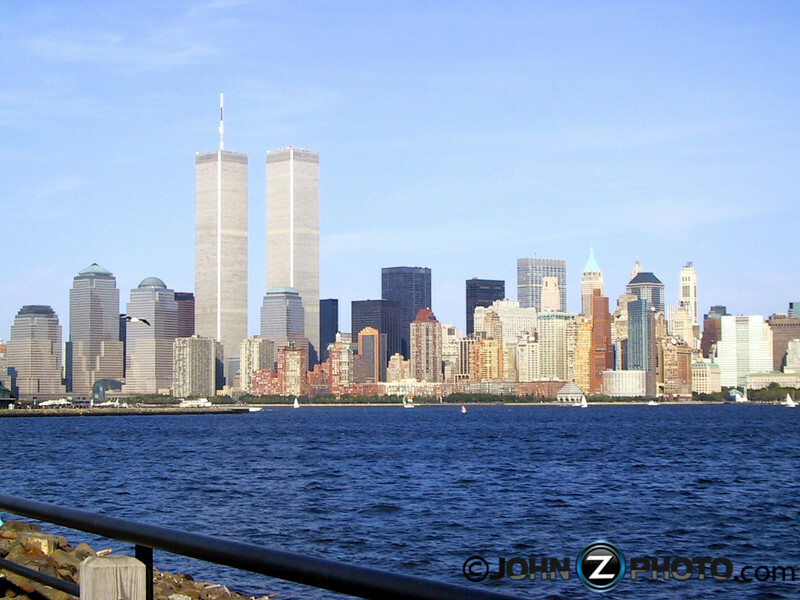 Little did I know, these were the first and last pictures I would ever take of the twin towers. They were taken on September 9th, 2001.